We gladly ship to any APO/FPO address! Our immediate U.S. Priority Shipping delivers your order in 2-3 days. 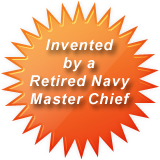 A retired U.S. Navy Master Chief and his wife, a retired U.S. Navy Senior Chief with a combined 42 years military experience, created the Medals & Ribbons Organizer to help preserve that "brand new" appearance for all military uniform devices. The Medals & Ribbons Organizer reduces the chance of losing uniform devices and helps to eliminate wear and tear. No more running around at the last minute looking for uniform devices before inspections and military ceremonies. Keep all your uniform items neatly and in one place. The Medals & Ribbons Organizer will hold everything from belt buckles and gloves to shoulder boards and cap devices as well as all your dress uniform medals and ribbons and your daily wear ribbons. Over ten years of commitment, conceptualization, research, and testing, has fine-tuned this product to meet the needs of the military and first responders. After conducting several focus groups to test the viability and sale ability of this product and to test consumer reaction to pricing and overall design, we found very favorable results within a very conservative audience - the men and women of the U.S. military. Eighty six percent of active duty military members surveyed said there was a need for our product! They noted they would buy our product if it was on the market and they would recommend it to coworkers. Our product can be found in Marine Corp Exchanges across the U.S., including Hawaii, at Marlow White Uniforms in Leavenworth, Kansas and at select military shops on the east coast. After both John and Sheree retired from the U.S. Navy, they created Keen Totes, Inc. from an idea John had well over 15 years ago. The acronym "Keen" actually comes from the names of John's first two children, Kallie and Eric and from John and Sheree's children together, Eli and Noah. In addition to Keen Totes, Inc., both work full time in other positions. John enjoys working as a custom cabinet maker in Fernandina Beach, Florida and Sheree works as an office manager at a local accounting firm in Jacksonville, Florida. Taking advantage of the Post 9/11 GI Bill Sheree also attends school full time, pursuing a B.S. in Psychology. They look forward to moving west someday, where it's nice and cool! 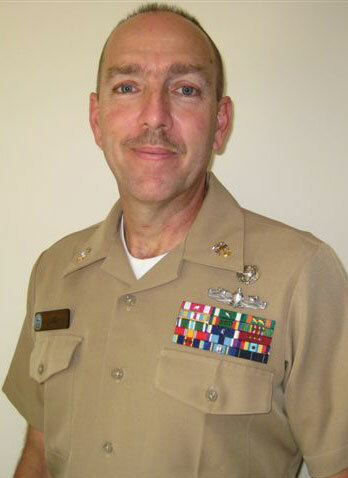 Retired from the U.S. Navy after 22 years of active duty in February 1999. 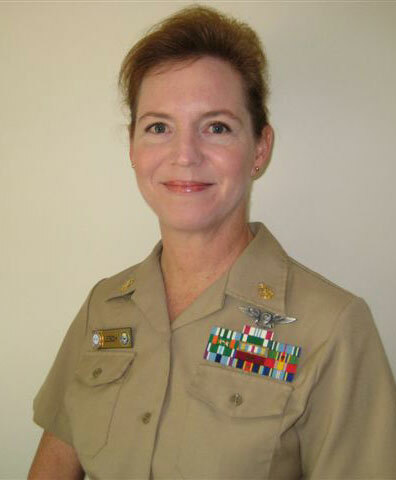 Retired from the U.S. Navy after 20 years of active duty in August 2004.